Many of us suffer from blackheads and these blemishes can be unsightly or even embarrassing. Although blackheads are simply a combination of oil and dead skin cells, they can sometimes be difficult to treat at home. This is why it is always a good idea to seek the advice of a trained dermatologist. You will be happy to learn that the removal process is relatively straightforward and that most treatments can be performed within a single session. Let us now take a quick look at how typical blackheads are removed so that you can better appreciate what to expect. 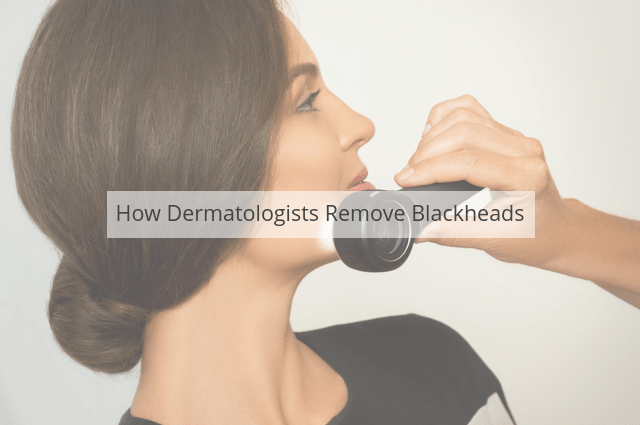 There are generally two ways in which a doctor such as a trained dermatologist will treat blackheads. The first involves the use of tool known as a “comedone extractor”. This is actually a very precise instrument which is able to grab and squeeze material from the pores. Such a process is performed for each individual blackhead, so the length of the entire process will depend upon the number of blackheads which need to be treated. The second main option is to use blackhead removal pore strips. These strips will essentially be stuck onto a portion of the face (commonly the nose). They are allowed to sit for a few minutes and then they are peeled back. When they are removed, many blackheads will likewise be extracted. However, please note that the tool mentioned in the previous paragraph is much more commonly employed by dermatologists and it can be used to remove blackheads that would otherwise be difficult to treat. These very same removal strips are also available at health stores and chemists although a dermatologist may prescribe a specific brand. This is a common question and it should be addressed. As the blackheads themselves are quite small, removing each one is generally not painful. The patient may feel a slight sensation of pressure or discomfort, but it is usually mild and easily manageable. Of course, the doctor will always try to make the individual as comfortable as possible during the removal process. Do you suffer from annoying blackheads or do over-the-counter products seem to be unable to help? If so, it is a good idea to contact a dermatologist sooner as opposed to later. You will be amazed with the results that can normally be achieved during a single consultation.